The Saint Patrick story you didn't know about? Today is Saint Patrick's day. It is mostly a day on which people will wear green, drink lots of beer and make claims to dubious Irish descent. But in the church it is a day when we remember one of the the greatest missionaries of the age. The story of Patrick begins when he was taken to Ireland as a slave. He eventually escaped he captors but returned later to preach the gospel to them. Legend claims that he used the clover to explain the trinity and drove all of the snakes out of Ireland. But a new study from Cambridge University stands the story on its head. The study suggests the Patrick fled to Ireland to escape being made a Roman tax collector and that he sold some of the family's slaves to get there. Here is some of the story from CNN. Now a new study from Cambridge University based on his writings suggests Saint Patrick was not brought to Ireland as a slave, as the legend has it, but that in fact he may actually have sold slaves his family owned to pay his way to Ireland -- in order to avoid a job as a tax collector for the Roman empire. The new study, based on Patrick's own writings in their historical context, argues that Patrick actually ended up in Ireland in order to avoid becoming a "Decurion," or Roman tax collector -- a role in city government that had become undesirable and dangerous in Patrick's time. "In the troubled era in which Patrick lived, which saw the demise and eventual collapse of Roman government in Britain in 410, discharging the obligations of a Decurion, especially tax-collecting, would not only have been difficult but also very risky," said Dr. Roy Flechner, from the Department of Anglo-Saxon, Norse and Celtic at Cambridge University. In order to get to Ireland, which lacked a monetary system at the time, Patrick would have needed to sell commodities to finance the trip. According to his writings, Patrick's family owned several slaves -- a high value and easily transportable commodity -- and Flechner says in the historical context it makes sense that Patrick would convert his family wealth into slaves he could sell in order to pay his way. But Philip Freeman, author of the biography "St. Patrick of Ireland," says while it is almost certain that Patrick's family owned slaves, as many members of the Roman nobility did at the time, experts' claims that Patrick himself was a slave trader is reading too far into the sources. "It's almost certain that Patrick grew up surrounded by slaves, but there's no good reason for thinking he was a slave trader," Freeman told CNN. "The only sources we have about Patrick that are really reliable are the two letters he wrote when he was an old man," he said. "And both of those tell the story of a young man who grew up in the young Roman nobility in Britain, but was kidnapped when he was 16 years old." Of course the story was timed to come out for Saint Patrick's Day. I am not a Patrick expert, but this seems like a stretch since we have very little direct information about him. I think I will stick with the original. I like it better. :) Happy Saint Patrick's Day. This week's giveaway is Hal Taussig In the Beginning was the Meal: Social Experimentation & Early Christianity (Fortress Press, 2009). What were the origins of the Eucharist? Taussig, a founding member of the SBL Seminar on Meals in the Greco-Roman World, brings a wealth of scholarship to bear on the question of Christian origins. He shows that in the Augustan age, common meals became the sites of dramatic experimentation and innovation regarding social roles and relationships, challenging expectations regarding gender, class, and status. 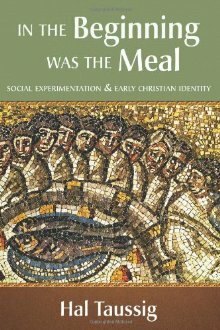 Rich comparative material and rigorous ritual analysis reveal that it was in just such a swirl of experimentation that the early Christian assemblies, with their "love feasts" and "supper of the Lord," were born. This cutting-edge monograph sheds new light on the social context of early Christian gatherings, illuminating the origins of the Eucharist and of Christianity itself. Taussig draws important implications for the practice of Christian community today. Put your name below and I will draw a winner on Sunday. Remember, the winner has five days to claim the prize once chosen. There has been a shift over the last few decades to begin to read the Bible more from a literary than historical perspective. Rather than understand it first within its historical, cultural and linguistic setting, some are reading and interpreting it solely within the contemporary setting. One manifestation of this proposed new model for studying the Bible could be called the purely literary approach. The Bible is literature, therefore we will read it in light of modern assumptions about, for example, fiction. Not mind you, ancient approaches to novels or histories or biographies, no modern approaches entailing modern theories of meaning. The Bible on this approach is treated as a document originally appearing in English and subject to the trends in analysis of modern English literature. Ben goes on to use post-colonial approaches as one example of this type of reading. He is appreciative and critical of this approach. It is an interesting read. I don't want to critique Ben's post since it is a short entry and I am sure he has more nuanced thoughts on the topic. But I will note that I gained a greater appreciation for non-historical approaches as I did my work on Cain and Abel. What I discovered there is that many interpreters were trying to make sense of the Bible for their time period. And that meant that often the original setting and context was not always as important to them as it is to us today. Our preoccupation with the original setting has much to do with our heritage from the protestant Reformation than an interpretive method that extends back through church history. What do you think? How important is it that we interpret the Bible in the context of its original linguistic, historical and cultural context? You may have read or heard about the "James Ossuary." It is a Roman era bone box with an inscription that reads "James son of Joseph brother of Jesus." When it was first announced many were offering it as a tangible piece of evidence to the family of Jesus. Soon, though, there were questions as to the inscription's authenticity and the owner, Oded Golan, was charged with forgery. A long trial ensued and the verdict was delivered today. Golan was acquitted of all charges including those related to some other artifacts. Here is a bit of what the judge had to say in a 475 page verdict. “This is not to say that the inscription is true and authentic and was written 2,000 year ago. We can expect this matter to continue to be researched in the archaeological and scientific worlds and only the future will tell. Moreover, it has not been proved in any way that the words ‘brother of Jesus’ definitely refer to Jesus who appears in Christian writings." This means that in many ways we are no further along then we were before the verdict. We have an inscription with names that provide a tantalizing connection to the family Jesus, perhaps one of the apostles. But we still don't know if it is an authentic inscription. All we know is that IF it is a forgery, then Golan is not guilty of it in the opinion of the Israeli courts. 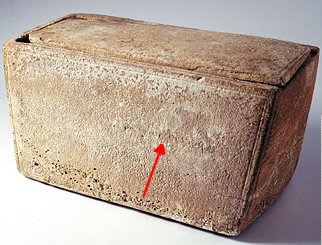 I bring this point up so that all of us keep in mind that the verdict does not mean that we now have, beyond a shadow of a doubt, an ossuary from Jesus' family. It only means that Golan is not guilty. The inscription needs to be studied again and, as happens in many cases, there will be good people on both sides who will disagree. 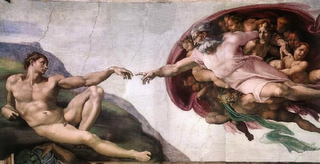 One of the great experiences my wife and I had when we were in Rome in 2000 was seeing the Sistine Chapel. We entered the Vatican Museum and made a beeline to the chapel in an attempt to beat the crowds. But there were tourists faster than us. The chapel is a wonderful work of art in which Michelangelo depicts a variety of characters and events from the Bible. It provides many of the visuals that we still use today. And it also provides a peek at theological concepts of the time. The Judgment Day scene, for instance, still molds the way some think today. Not everyone can or will make it to Rome. But we can all enjoy the chapel. Although it has probably been around for a while, Stuart over at the EChurch Blog has alerted me to a virtual 360 tour of the chapel. If I had seen it before I had forgotten it. You can look at the entire chapel and use your mouse to zoom in and out on specific sections. There is even some appropriate music playing in the background. It can be found on the Vatican website. A couple of weeks back I posted on the criterion of embarrassment. This is one of the categories Historical Jesus scholars used to help determine the authenticity of a statement or event in the gospels. The post also included a link to Mark Goodacre's NT Pod where he had recently uploaded a ten minute discussion of the criterion of embarrassment and provided a helpful critique of it. 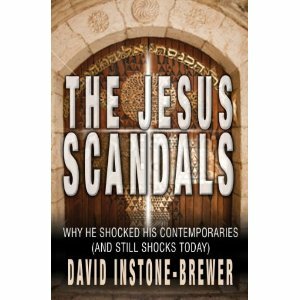 Today I ran across an interview with David Instone-Brewer on Resurrection Hope in which Frederik Mulder discusses Instonebrewer's new book The Jesus Scandals:Why He shocked his Contemporaries and Still Does Today (Monarch Books, 2012). Here is why he says he wrote the book. Mulder: David, why did you write this book? Instone-Brewer: I wrote this book because I want everyone to see there is historical information in the Gospels which no historian would throw out. When you look at the Gospels and see embarrassing things about Jesus – they’ve got to be true because they wouldn’t have put them in if they weren’t. Mulder: Like the women at the tomb? Instone-Brewer: Yes, and details about the disciples and how dubious they were; how Jesus was illegitimate; accused of alcohol abuse; how Jesus talked about child abuse ... all sort of things they would’ve liked to omit if they wanted to sell the Gospel better. But because it was real, they had to include them. That’s what scholars call the criterion of embarrassment, and I’m putting it across in newspaper style saying “Hey, here’s all the scandals!”. Every article is about one coffee cup length to read, and then it gives you something to talk about in the pub. The book has six chapters titled the (1) Ineligible Bachelor, (2) Supplanting Passover, (3) Prostitutes, (4) Martial Abuse, (5) Unforgivable Blasphemy, (6) Eternal Torment. Each of these are areas that Instone-Brewer identifies as potentially embarrassing and problematic for the gospel authors. You can read excerpts of each chapter at bethinkinging.org. This week's giveaway winner is Jerry. 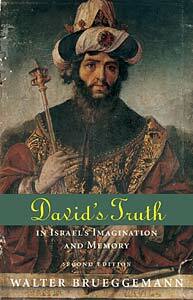 He is the winner of Walter Brueggemann David's Truth In Israel's Imagination and Memory (Fortress, 2002). Jerry, send your detail to jbyron@ashland.edu and I will send out the book. Remember you have days to claim the prize.